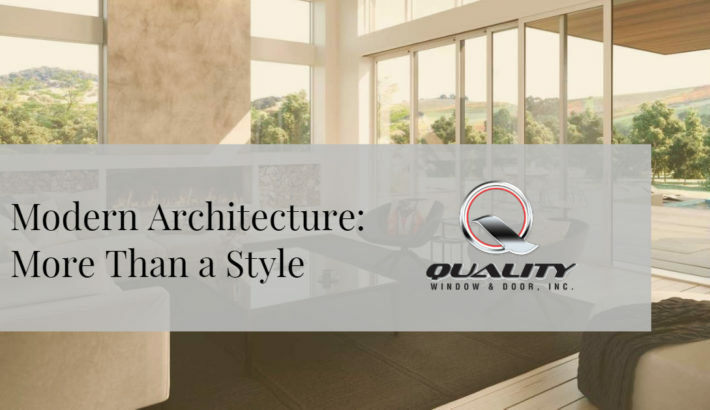 Modern Architecture: More Than a Style | Quality Window & Door Inc.
“Modern is a more honest look at what a building is—load-bearing columns, beams that transfer the weight, and not putting things in for decoration. It’s still beautiful, but there’s kind of a level of honesty and simplicity in the design.”- Rebecca Comeaux, AIA, LEED AP, Associate at Lake | Flato Architects. The Marvin Modern product line features a High-Density Fiberglass exterior, a revolutionary material that echoes the sleek and simple look of other modern materials but provides improved thermal efficiency. Thanks to this new material and a proprietary frame design, Marvin has a higher thermal performing product than most competitors. The frame requires no additional material to aid in its thermal performance—a departure from thermally broken competitors and indicative of the modernist philosophy that resists doing things as they have always been done. It also features an integrated mull channel that enables mull reinforcement while maintaining sightlines and preserving thermal efficiency. These enhancements reimagine how windows and doors can perform.